At the time of writing this, dear reader, I am sitting on a train on my way to a meeting with HM Planning Inspectorate. Its a meeting that I have been invited to as part of their stakeholder engagement in order so that they can understand what they could be doing better! This is, of course, at a time when the Planning Profession in Local Government is under increased pressure to perform. The government has just released its latest consultation for increased permitted development allowances which will remove more control from the Local Government Planner and, in their eyes, free up more development land within the system. and increasing the delivery of new homes’ makes very clear that the Government needs the planning system to work and, unfortunately, it is the Human Element of that system causing the issue. Fundamentally we have permitted development allowances in order to avoid the need for assessment by planners and in consulting on new allowances the Government is effectively saying that it can not rely on the human part of the system to do this on its own! The Planning System is, itself, actually quite good at doing what it needs to do. The rules of the system are set nationally and transcribed into a local development framework that has to be consistent with the national approach. Decisions are made against the policies within the Local and National Frameworks and then issued accordingly. That is in essence the system that was set in motion on the 1st July 1947 and the same one that exists today. Unfortunately it is the Human part of the system that gets in the way. The mechanic that runs the system and makes it work also has an effect on its output. Planning applications are not, for example, a production line of input and output. They are not decided upon an expert system (one that requires no prior knowledge from the operator) but instead are decided by individuals working within a broad framework of rules where interpretation and personal preference are encouraged. Planning permission was granted in 2017 for the demolition of a house and its replacement with two houses within a City (the City will remain nameless to protect the stupid). The design, at the time was deemed acceptable even though it bare no relation to the surroundings and planning permission was passed. Therefore a revised application was made seeking the retention of the host house and the construction of a new house on the land (this would just about work). Negotiations on design were had with the planning officer and everything was well until her line manager got involved. The storey here is that he did not agree with the original decision and notwithstanding this was not going to agree with a new house in the gap. This got to a point where the planning officer stated that ‘it would be better if it was refused and went to appeal’. The waste of time and energy that would have caused was immense (5 months to this point with the LPA and and additional 6 months with the Inspectorate!) and all because one human within the system did not agree with a decision made by the LPA. The interpretative part of the system is what results in both inefficiency and inconsistency in decision making. Happily dear reader the New National Planning Policy Framework gives us a solution. 47. 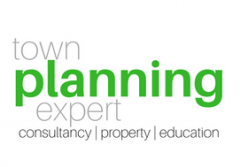 Planning law requires that applications for planning permission be determined in accordance with the development plan, unless material considerations indicate otherwise. Decisions on applications should be made as quickly as possible, and within statutory timescales unless a longer period has been agreed by the applicant in writing. 124. The creation of high quality buildings and places is fundamental to what the planning and development process should achieve. Good design is a key aspect of sustainable development, creates better places in which to live and work and helps make development acceptable to communities. Being clear about design expectations, and how these will be tested, is essential for achieving this. So too is effective engagement between applicants, communities, local planning authorities and other interests throughout the process. 125. Plans should, at the most appropriate level, set out a clear design vision and expectations, so that applicants have as much certainty as possible about what is likely to be acceptable. Design policies should be developed with local communities so they reflect local aspirations, and are grounded in an understanding and evaluation of each area’s defining characteristics. Neighbourhood plans can play an important role in identifying the special qualities of each area and explaining how this should be reflected in development. 126. To provide maximum clarity about design expectations at an early stage, plans or supplementary planning documents should use visual tools such as design guides and codes. These provide a framework for creating distinctive places, with a consistent and high quality standard of design. However their level of detail and degree of prescription should be tailored to the circumstances in each place, and should allow a suitable degree of variety where this would be justified. Returning to the assessment of design against codes (such as the famous Essex Design Guide) would be both NPPF compliant and create a circumstance where the design expectations of the Council were known. This would create consistency throughout the system and in decision making as interpretation and preference would be removed. Well written Design Codes can be picked up and used by anyone to create quality places for people to live and work in and bring us as a profession closer to the expert system that planning was always meant to be and whilst I hate to admit it myself the only way IS Essex.